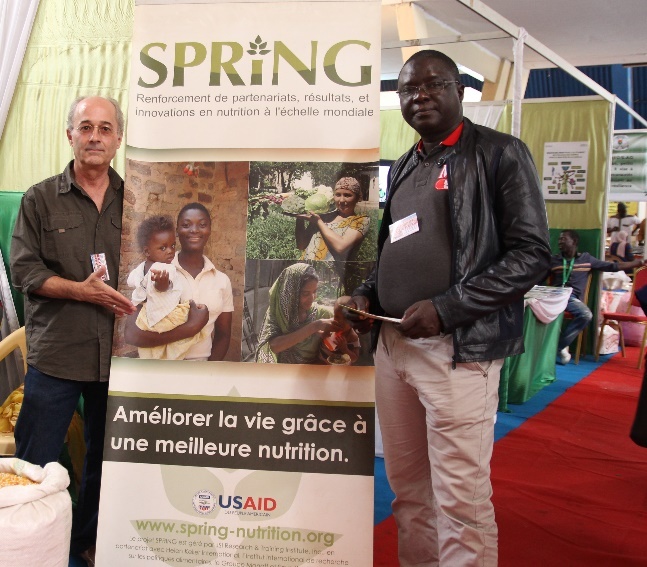 From March 29-April 16, 2017, SPRING/Senegal is participating in the 18th Annual International Fair for Agricultural and Animal Resources (FIARA) to promote a multi-sectoral approach to improving nutrition, as well as products from partner producer networks. 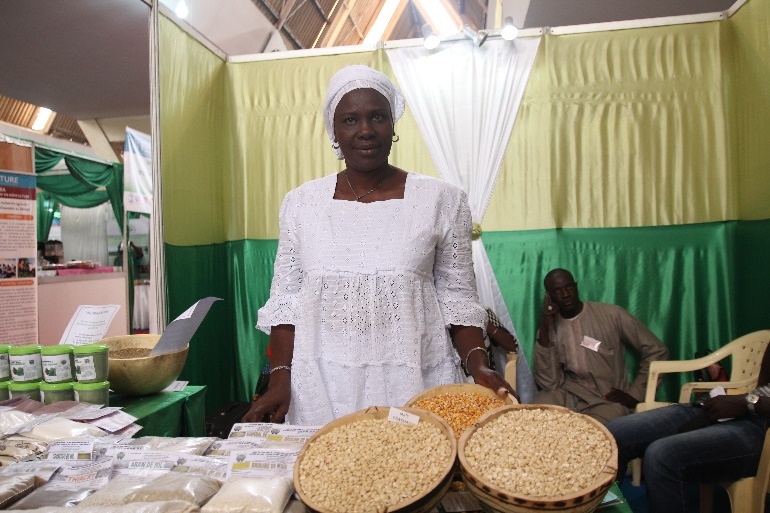 The FIARA is an annual fair in Dakar, Senegal that is an opportunity for hundreds of participants to exchange and promote innovations in agriculture and animal rearing. The opening ceremony on March 29 was graced by Mrs. Aminata Mbengue Ndiaye, Minister of Livestock and Animal Resources. 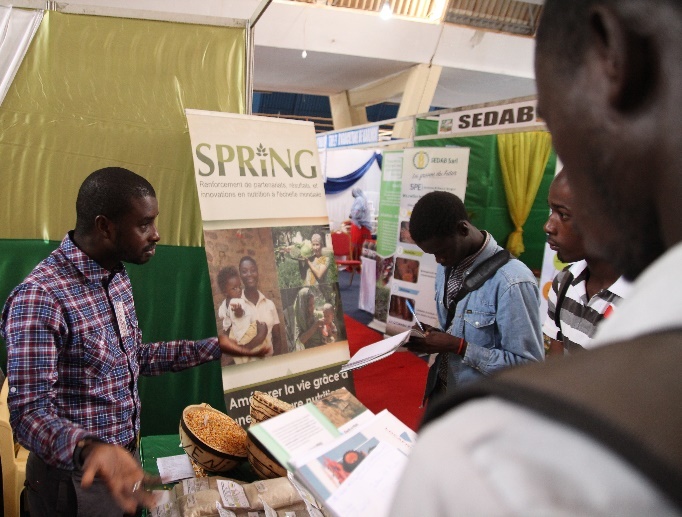 Over the three-week fair, SPRING/Senegal is hosting a stall to display the high nutrient agricultural products that the project promotes through agricultural partner networks. Products include zinc- and iron-fortified millet, protein-rich Obatampa maize, and vitamin A-rich orange-fleshed sweet potato. 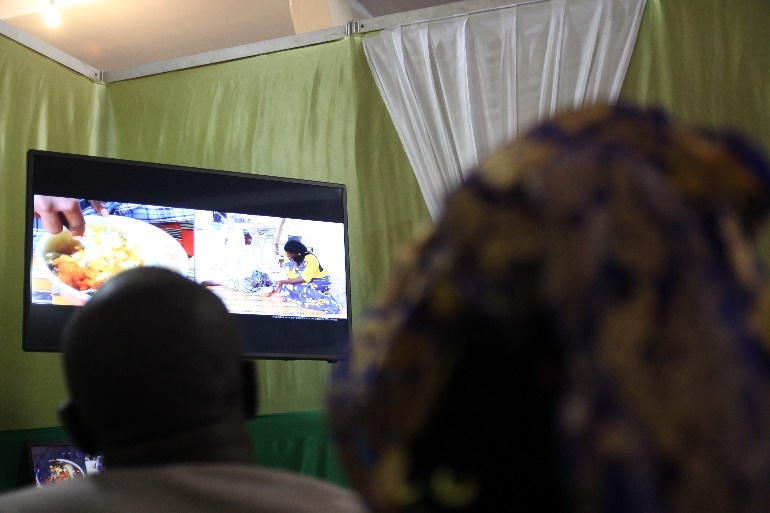 Adjacent to the exposition stall, SPRING/Senegal is screening community videos for visitors, as a demonstration of SPRING’s social and behavioral change communication (SBCC) approach to improving nutrition sensitive agriculture and maternal and child nutrition. In collaboration with the Unit for the Fight against Malnutrition (CLM), a key country partner, SPRING/Senegal organized a public forum on SPRING’s "Multisectoral Approaches to Combat Malnutrition: A business opportunity for the private sector,” which will be held on April 12, 2017 to improve the visibility of SPRING, and provide an opportunity for SPRING staff, partner producer networks, and local service providers to engage and share innovations and inspiration around agriculture and nutrition.